Chinese have become the second-largest tourist force in Antarctica. The polar region received 8,273 Chinese visitors during the 2017-2018 season, accounting for 16 percent of all, only second to the United States, according to the International Association of Antarctica Tour Operators. This figure is nearly 3,000 more than the 2016-2017 Antarctic tourism seasons, while 100 times as much as it was in 2008, when fewer than 100 Chinese visited. The 2018-2019 season is likely to see the number rise over 10,000, says China's biggest online travel agency Ctrip. "The demand from Chinese tourists increases sharply every year," says Wang Nan, who manages Ctrip's Antarctic tours. "Bookings for Antarctic routes are growing rapidly." Judging from the current booking situation, 100 percent growth is expected in visitor numbers to Antarctica, Ctrip says. That would make one out of every five tourists to Antarctica Chinese, Wang adds. At the moment, there are only a few slots up for grabs at Ctrip for January and February. November to March is the Antarctic summer, which makes for good travel season. The agency increased 30 percent of its Antarctic products this year to meet the increasing demand for Antarctic experiences. Ctrip has nearly 200 products from major suppliers with more than 20 ships available for selection for travelers to the region. Chinese travelers have spent an average of 23 days on their Antarctic tours, and costs ranged from 50,000 yuan ($7,241.1) to 110,000 yuan, in 2018. Costs depend on a traveler's means and routes. Those who take cruises across Drake Passage to polar destinations are looking at 50,000-200,000 yuan, while those who take planes from Chile or Argentina before switching to cruises on the Antarctic Peninsula would likely have to pay 120,000-160,000 yuan. The most expensive way would be taking flights from Chile to the Antarctic region, which usually costs above 500,000 yuan. Nearly 90 percent of Chinese tourists choose to take cruises to Antarctica, while only 1 percent fly directly to the South Pole, Wang says. Group travelers are in the majority, and most of them come from big Chinese cities such as Beijing, Shanghai and Shenzhen. Smaller cities in the country have witnessed tourism growth, too. The top 10 departure cities for Antarctica are Shanghai, Beijing, Hangzhou, Guangzhou, Chengdu, Shenzhen, Nanjing, Chongqing, Xi'an and Wuhan. 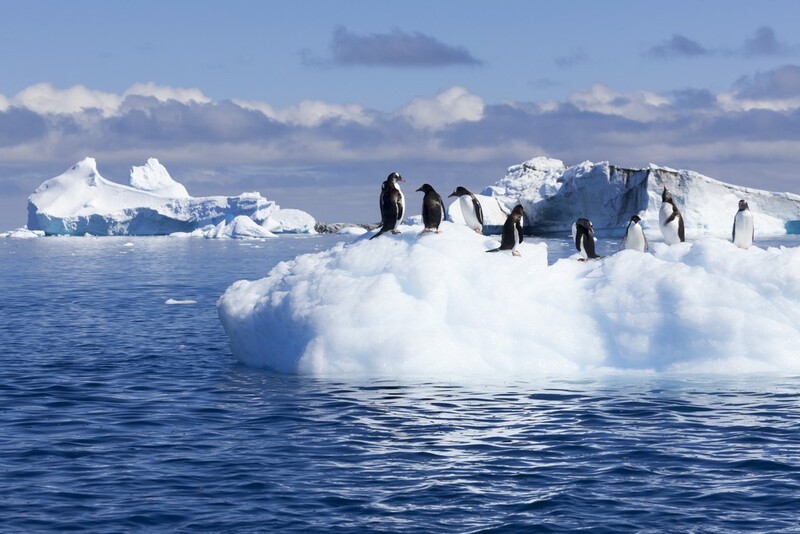 In particular, Hangzhou and Nanjing have each seen more than 200 percent growth in the number of locals leaving for the Antarctic region.